NPR premiered the hypnotic new video for Bayonne's track "Appeals," off his upcoming debut album, Primitives, out March 25th. 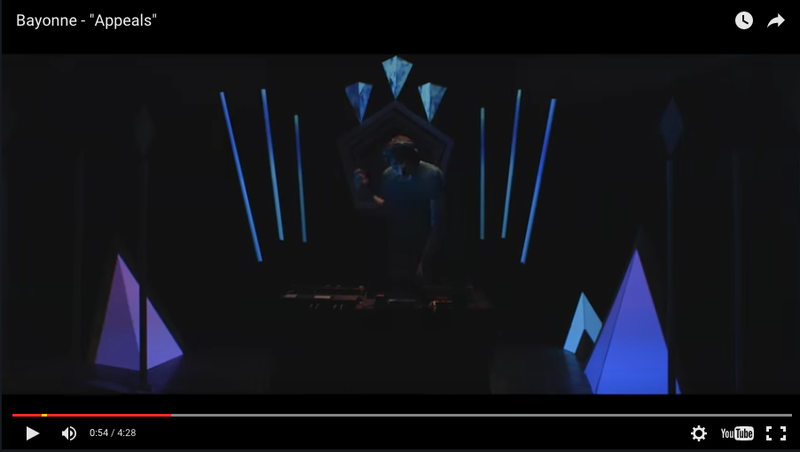 The video captures an intimate performance set in a beautiful projection-mapped environment. Speaking of Bayonne's talent, NPR writes, "He breathlessly dances, lays down tracks and darts between a tangle of mixers and drums in a series of perfectly orchestrated maneuvers. The setting is simple: a dark room with beautifully designed, geometric lights framing Bayonne's performance." See the video below for yourself below and head to Mashable for a sneak peak at how the projections came together. Be sure to grab a copy of the album here.